Brighton…Naturally is an environmental initiative to connect children, families, and individuals to the natural world. Brighton…Naturally grew from conversations with longtime resident Joyce Powers. Powers, a retired Ann Arbor Public Schools media specialist and former Brighton Area Schools Board member, provided the Library with a leadership gift and in-kind environmental education resources for the Library’s collections. 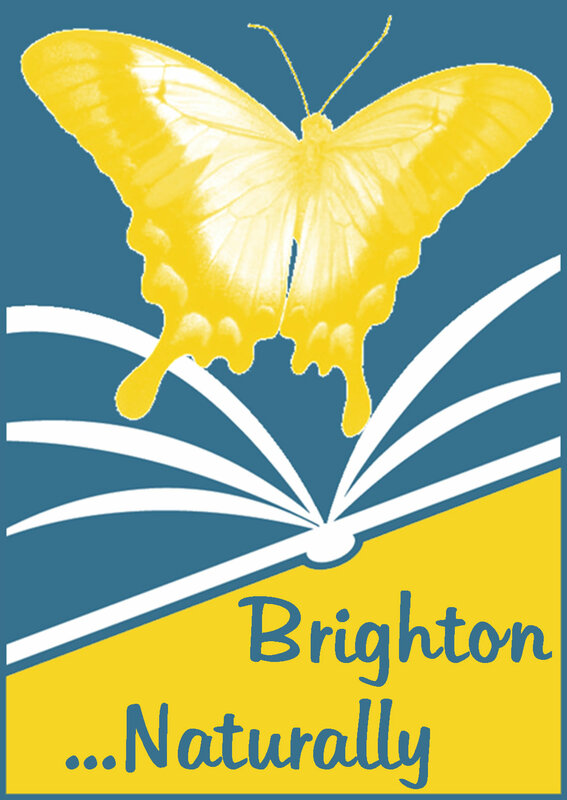 The Brighton District Library has launched Brighton…Naturally, an environmental initiative to connect children, families, and individuals to the natural world. Brighton…Naturally grew from conversations with longtime resident Joyce Powers. Powers, a retired Ann Arbor Public Schools media specialist and former Brighton Area Schools Board member, provided the Library with a leadership gift and in-kind environmental education resources for the Library’s collections. “Brighton’s rich and diverse natural environment is our ancient heritage. It inspires us, and it is our responsibility to pass this ecological legacy on intact to future generations. The people of Brighton cherish the great out-of-doors. Our geographic natural history is our treasure,” said Powers. In the fall of 2011, the National Wildlife Federation recognized the library’s property as an official Certified Wildlife Habitat. The property of more than 10 acres includes the adjacent Charles & Albert Parker Families Nature Preserve tended by the Livingston Land Conservancy. To become a Certified Wildlife Habitat, the library had to provide the four basic elements that all wildlife need to thrive: food, water, cover and places to raise young. The library also had to employ sustainable gardening practices by reducing or eliminating the need for fertilizers, pesticides and/or irrigation water, which ultimately protects the air, soil and water throughout our communities. Due to these wildlife-friendly practices, the library attracts a wide variety of birds, butterflies, insects and other animals to the Library’s landscape. Millie’s Garden at the library offers children and families rich sensory outdoor experiences that are imaginative, hands-on, and make learning fun. These programs, facilitated by Program Specialist and Advanced Master Gardener Jane Reed, connect children and families to the natural world. “Kids learn best by being active participants in their natural environment. Introducing kids to nature, how things grow and thrive enhances their learning and builds healthy children,” said Reed. The library commissioned energy audits by local architects Lindhout Associates and by Goyette Mechanical, the library’s HVAC contractor, in order to conserve energy and reduce the need for fossil fuels. As a result of those audits, twelve shade trees were purchased, using money raised at the 2012 Booked for the Evening fundraiser, and are planted along the west side of the building. They include maple, ginkgo, oak, sycamore and pear varieties. A beech tree and two other trees will be added to the southwest side of the building to shade the public computer area. “Connecting individuals to the world, through books and materials, literacy, education, and now Brighton…Naturally, is the library’s mission. We’re thrilled to be able to offer this exciting program series to the community,” said Nancy B. Johnson, Director, Brighton District Library. Exciting and unique nature-based resource boxes are available for check out with a Brighton District Library card. Brighton...Naturally is an environmental education initiative to connect children, families and individuals to the natural world. These resource boxes contain a variety of books, learning toys, activities and audio/visual materials to support various nature related topics.